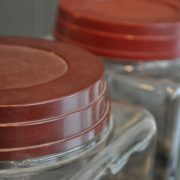 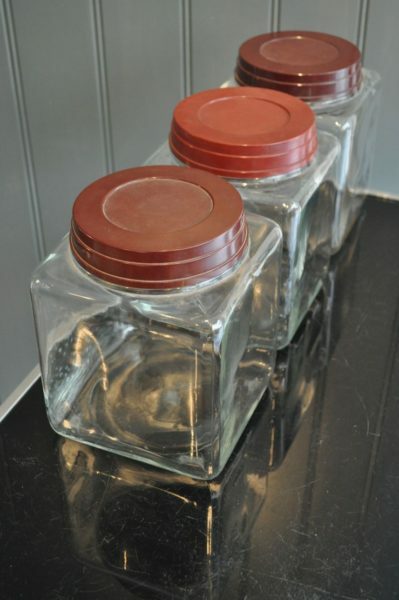 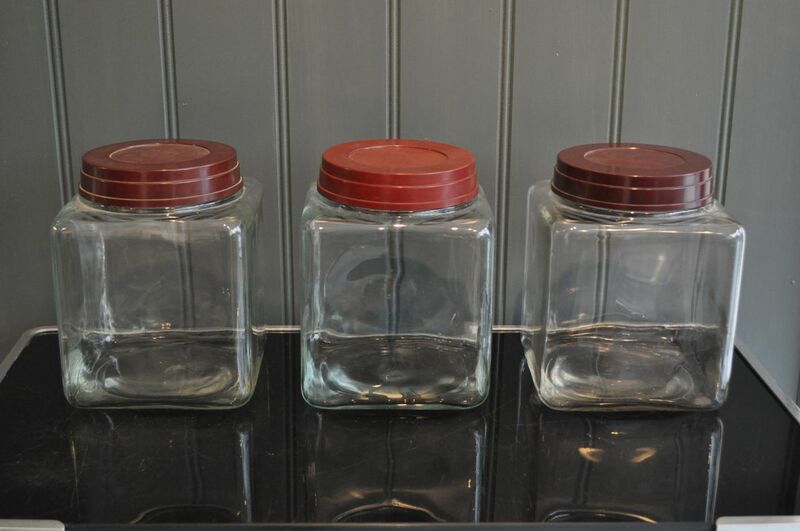 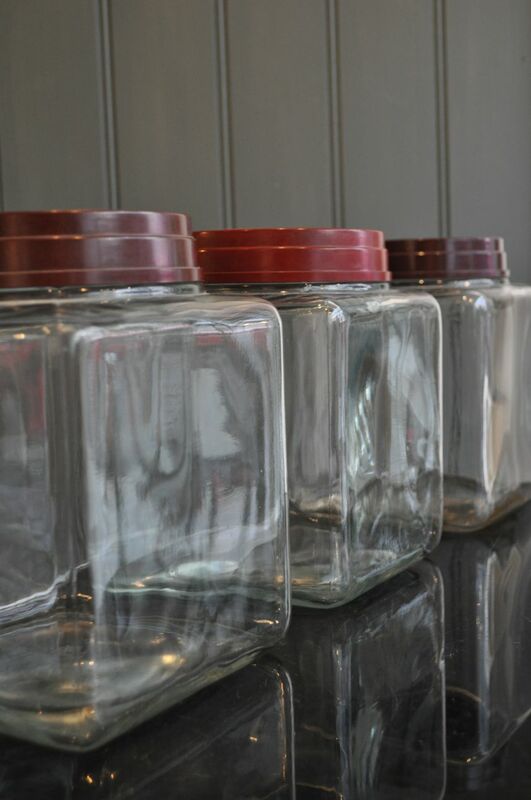 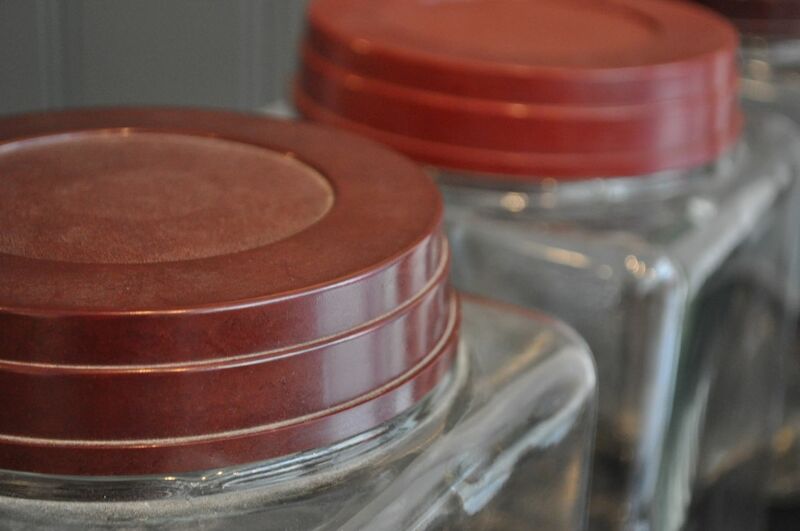 French square storage jars with lovely dark red bakelite tops. 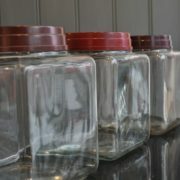 Three currently available, with just a very slight variation in the colour of the top. 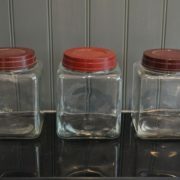 Price is per jar, and happy to sell individually.